If you are looking for a professional window cleaner in Chandler, then you have come to the right place! Arizona Window Washers has the best and most amazing window washing services for residential and commercial customers alike. We guarantee that we have the most professional services not only in Chandler, but in the neighboring areas as well. Nowadays it has become increasingly difficult to find a reliable window cleaning service. There are many window washing services and window washers who are doing terrible jobs. More than that, there are even window cleaners and window cleaning services that are highly expensive and they almost lead customers to believe that residential or commercial window cleaning is somewhat of a luxury. So if you are looking for a professional window cleaner in Chandler, Arizona Window Washers is definitely the company for you. We have years of experience in this field and are incredibly dedicated to doing an excellent job. When it comes to window cleaning and window washing, we hold our work to the highest standards, because we always want our customers to get the best possible residential or commercial window cleaning service. Arizona Window Washers does not only have the best window cleaner in Chandler, but the best team of window washers in the area. We pride ourselves in having on board some of the most dedicated window cleaners in Chandler. Our experts are not only incredibly knowledgeable and highly skilled, but also very well trained. We guarantee that you will not be able to find a better service in and around Chandler. Apart from being incredibly professional, our services are also very affordable. Like we said before, some clients may come across a window washer who makes them believe that having you windows professionally cleaned is a luxury. If you choose our company you can rest assured that you will not have to spend a lot of money on the services that we provide. Arizona Window Washers has the most affordable window washing service in the area. Finding a professional and a reliable window cleaner in Chandler has never been easier. All you need to do is give us a call and we will make sure to send over one of our team of experts to help you out. No matter if you are a commercial or a residential customer you can count on us to meet all your window cleaning needs. Your expectations will surely be exceeded if you will choose to work with our company. Not only will you get the best services in the area, but the lowest prices as well. 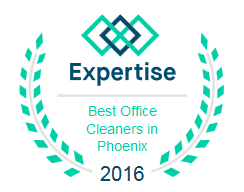 Your search for a great window cleaner in Chandler is definitely over! Arizona Window Washers can offer you a free quote right away! All you need to do is use our window cleaning quote tool and get a response in a matter of minutes.